I get it. 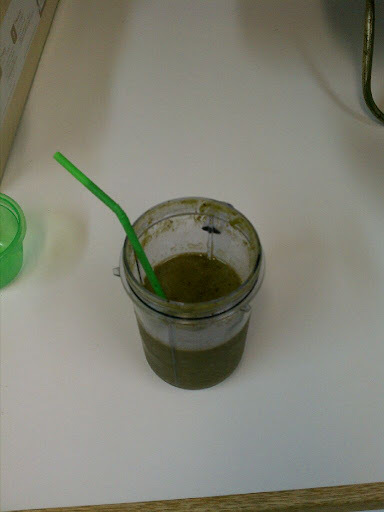 A green smoothie does not look appealing. Nothing about it screams, “I’m tasty!! Try me! !”, but rest assured when I tell you, this one is worth a second glance. This was another Pinterest find. I’m in love with Pinterest. It’s keeping life interesting for me. It’s odd that I stumbled upon this, as I just talking to someone about it a few weeks ago. 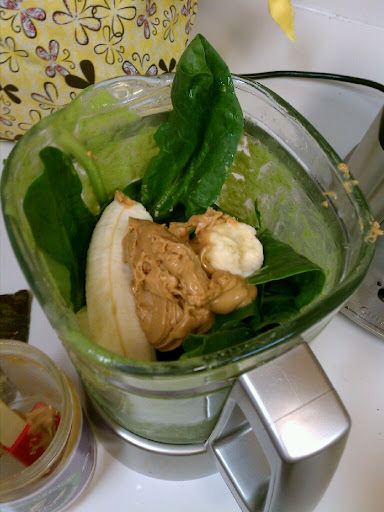 Banana, Peanut Butter, Spinach & Milk. That’s it. 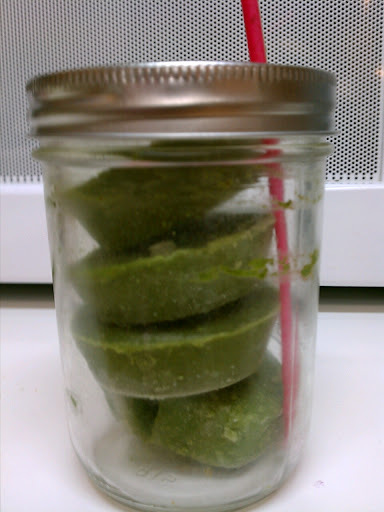 Blend it and wait for it to turn bright green. The weird thing? It tastes like banana and peanut butter. Seriously. Yum. I so look forward to my morning routine of slurping a cup of this stuff. I’m currently stuffed from dinner, but I could still drink some of this right now. It’s that good. 3. pour some in a cup and drink! 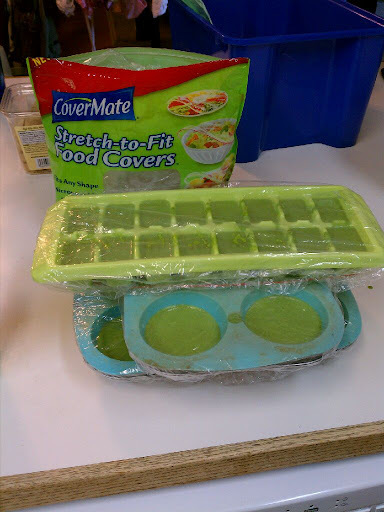 6. save frozen green monster in zip top baggies in the freezer. then grab a few and place in a cup/jar before going to bed. they'll defrost overnight and be ready for you in the morning! Ingredients? 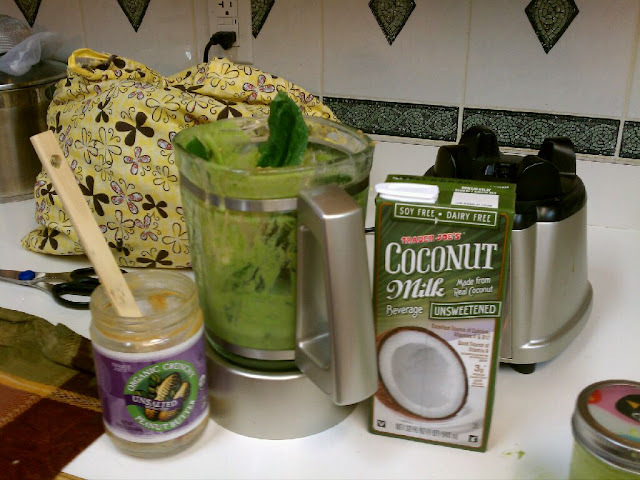 1 banana, 2 tablespoons peanut butter, a bunch of spinach, milk of choice to help it all mix up. Add yogurt, or flax seeds, or oat meal, or oat bran, or spirulina, or kale, or whatever else your heart desires. It’s not an exact science. 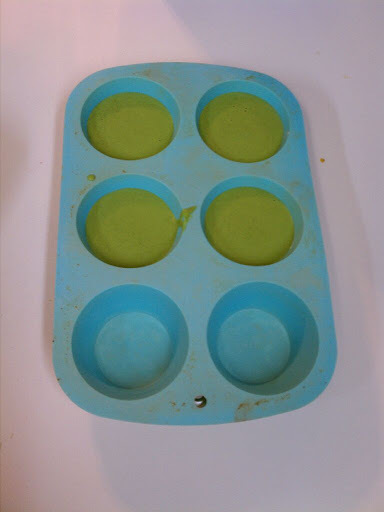 Multiply this recipe so you have extra to freeze. (here’s the pinterest pin I adapted it from) One big difference? I didn’t freeze my bananas. You can, but my blender wasn’t happy with the frozen bananas, and since I was planning on freezing extra anyway, it was easier to just blend up fresh bananas instead. I’ve done it both ways, noting minimal difference between the two methods. If you really want that frozen, frothy style smoothie, and you don’t have frozen bananas, add some ice cubes. Again, not an exact science. I know, you’re probably still skeptical. But, trust me. It tastes like a banana peanut butter smoothie. Really. I swear. I’ve just started reading your blog and so far I’ve loved every post but I simply HAD to leave a comment here. This is one of my all time favorites and now I know how to make it. P.S. I’m so addicted to Pinterest. 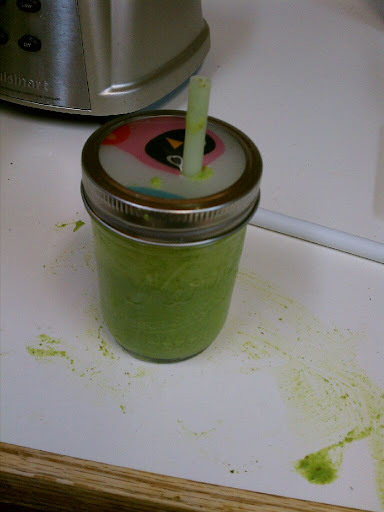 I <3 the green monster smoothie. I've been trying different variations (adding an apple is FANTASTIC!) and drinking it daily. Yum. Freezing it is definitely the trick to having it every morning – it's far too messy to commit to making fresh every day!